Fruit cocktail in pear juice shall be prepared from clingstone peaches, Bartlett pears, Thompson seedless grapes, pineapple segments and cherries artificially colored red. 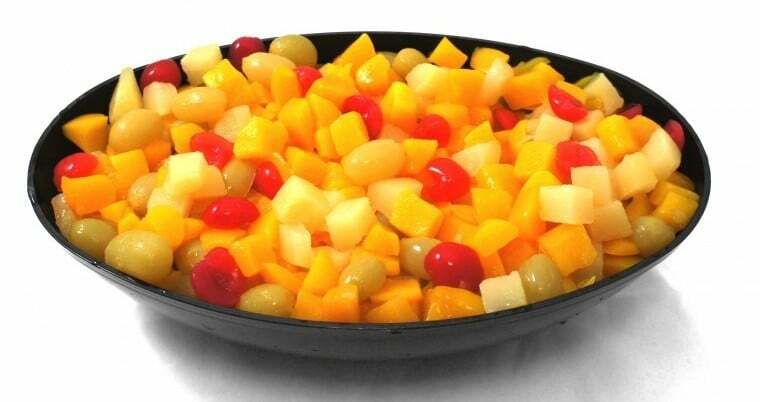 All ingredients possess the high quality characteristics of their respective fruits. Finished fruit cocktail is reasonably free of defects and practically free of harmless extraneous plant material. Sealed containers are cooked to ensure commercial sterility then cooled prior to stacking.